In urban and suburban areas, buildings, roads and parking lots cover the land and prevent rain and snowmelt from soaking into the ground. Consequently, water flows over ground, and solutions have been engineered to funnel water away from roadways, parking lots, and driveways via ditches, and underground pipes. This has led to increasing volumes of water, flowing at faster rates into our waterways; overwhelming capacity, leading to stream bank destabilization, loss of aquatic habitat, and downstream flooding. Moreover, pollutants such as oil, sediment, pet waste, and cigarette butts are picked up by stormwater and are washing, untreated, into our waterways. 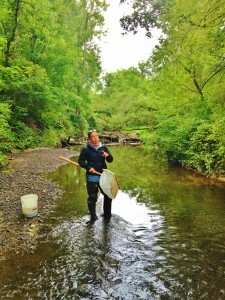 Over time, many streams and lakes have become impaired by these events. What Are We Doing To Protect Water? In 1990, the United States Environmental Protection Agency (USEPA) adopted Phase I Stormwater rules under the National Pollutant Discharge Elimination System (NPDES) permit following amendments to the Clean Water Act. Phase I covered large and medium sized Municipal Separate Storm Sewer Systems (MS4s). Typically Phase I communities had populations of 100,000 or more. Construction activity disturbing five or more acres and certain industrial activities were also affected by the rule. The Stormwater Phase II Rule is the next step in the United States Environmental Protection Agency’s (USEPA) effort to preserve, protect and improve the nation’s water resources from polluted storm water runoff. Phase II is intended to further reduce adverse water quality and aquatic habitat conditions by instituting the use of controls on the unregulated sources of storm water discharges that have the greatest likelihood of causing environmental degradation. The Phase II Final Rule, published on December 8, 1999 automatically covers all small MS4s located in Urbanized Areas as delineated by the US Census Bureau. The permit may also cover MS4s located outside of the Urbanized Area if they are deemed to be contributing storm water to an MS4 within the Urbanized Area or they pose a risk for pollutant release to waters of the US. Additionally the rule expanded coverage to construction activities that disturb between one and five acres of land. While most MS4s are operated by local municipalities, the permit also covers “non-traditional” operators such as the Department of Transportation, county governments and universities. In New York State, the Department of Environmental Conservation is responsible for administering the Phase II program through the State Pollutant Discharge Elimination System (SPDES) permits. 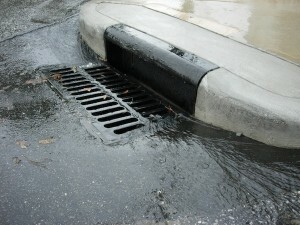 You can learn more about stormwater by looking at the Educational Resources section of this website.